Unsealed court documents recently obtained by DS News reveal that the United States Government has declined to intervene in a whistleblower complaint against Ohio law firm, Laurito & Laurito  LLC for alleged violations of the False Claims Act. Following a full investigation, a Notice of Declination was filed as the Department of Justice  (DOJ) after it could not find anything to substantiate the complaint. While the plaintiff still has the ability to pursue the lawsuit, to have the government step aside and file a Notice of Declination instead of pursuing the claims of violating the False Claims Act, is a big step toward identifying the validity of the charges against the firm. The DOJ has, in the past, zealously pursued and prosecuted such claims. In the original filing, a former employee of Laurito and Laurito complained about alleged misdeeds of the firm such as failing to reimburse clients’ court cost deposits when foreclosing on government-issued mortgages. In doing so, the defendant would have been violating the False Claims Act, as clients would have filed FHA reimbursement claims falsely. However, The U.S. DOJ has not found substantial evidence to support or substantiate these claims, and nothing was found to be wrong with the firm’s process. The Notice of Declination was filed earlier this month. In the notice, the U.S. requested that the original Complaint, Order, and the Notice itself be unsealed. 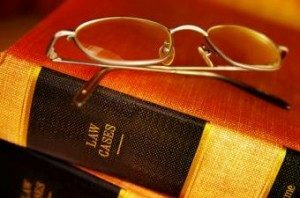 Due to the nature of their work, foreclosure law firms are often the target of legal attacks. Recently, in the case of State of Colorado v. The Castle Law Group LLC et al. DS News reported that Castle Law Group and two other entities were awarded legal fees totaling $1.9 million after the judge found the claims filed against them to be substantially frivolous and groundless. The Court awarded 100 percent of the fees that The Castle Law Group, Caren Castle, and Larry Castle requested, and indicated that the methodology used by Castle Law in applying for the fees was conservative.